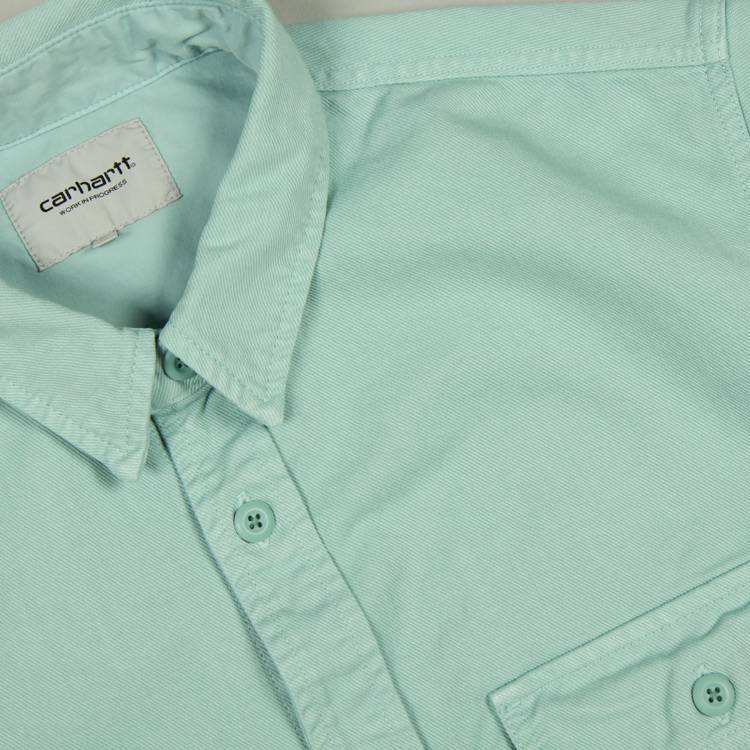 This Carhartt Reno Overshirt in Soft Aloe is crafted from cotton colour denim. and features single buttoned chest pocket, two internal pockets, branded buttons and flag label at chest pocket. 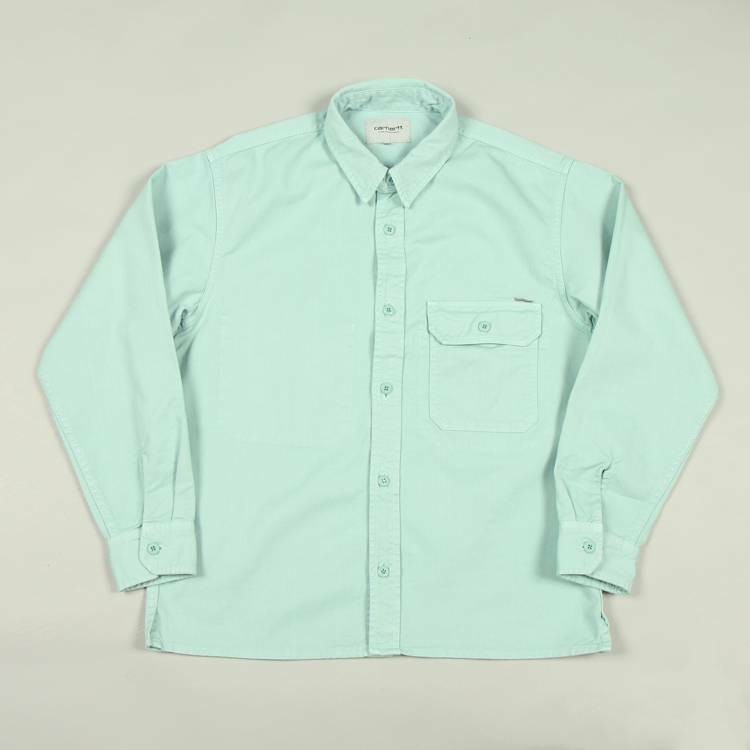 This overshirt is a looser fit, we recommend going with your normal size.